The Lamborghini Murcielago has been around since 2001. After ten years of production with only minor changes it is finally going to be replaced. It’s replacement? The 2012 Lamborghini Aventador LP700-4. The new Lambo looks amazing. Not only was the revamp aesthetically necessary, it was important for the company. In 2009 Lamborghini had a bad year and in 2010 it didn’t get much better. The rich have grown tired of the old Murcielago and have flocked to the newer supercar offerings from Ferrari and Bentley and other manufacturers. The new Aventador provides the solution. One of the most tired aspects of the Murcielago was it’s technology and refinement. From the interior alone you can see the vehicle was well past the time to be put out to pasture. The Aventador took a giant leap into the present. You likely recognize a lot of Audi interior accents (similar to Gallardo). It has the same control knob found on almost all Audis and similar switched found in the Gallardo. The rest of the interior is entirely its own. The steering wheel, gauges, and other controls look very finely made and are real eye-catchers. I would go so far as to say the Aventador’s interior even rivals that of the Ferrari 458 Italia (no small feat). According to multiple sources (Autoblog and WorldCarFans) the name Aventador follows the same lines as other Lamborghini names. Both the Lamborghini Murcielago and the Reventon are named after fighting bulls. 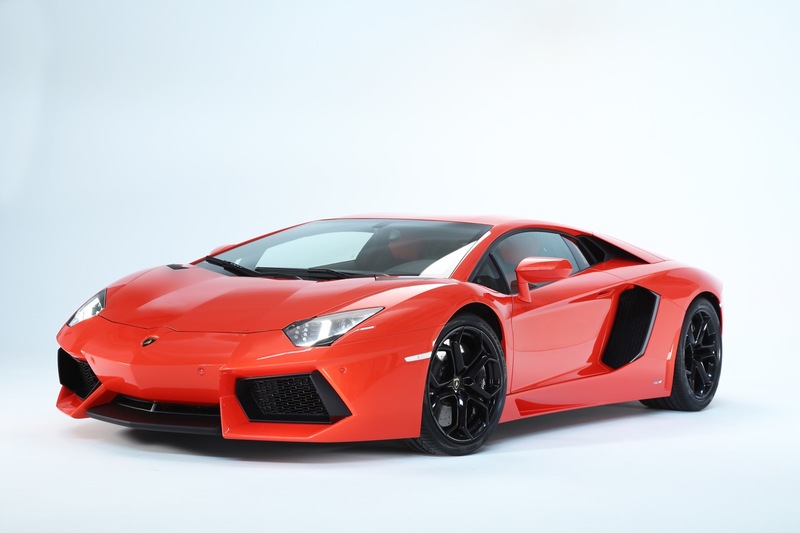 Likewise, Aventador refers to a Spanish fighting bull from 1993. The bull came from a breeding barn belonging to the sons of Don Celestino Cuadri Vides. It must have been considerably strong to have its name bestowed upon the most powerful Lamborghini ever built. 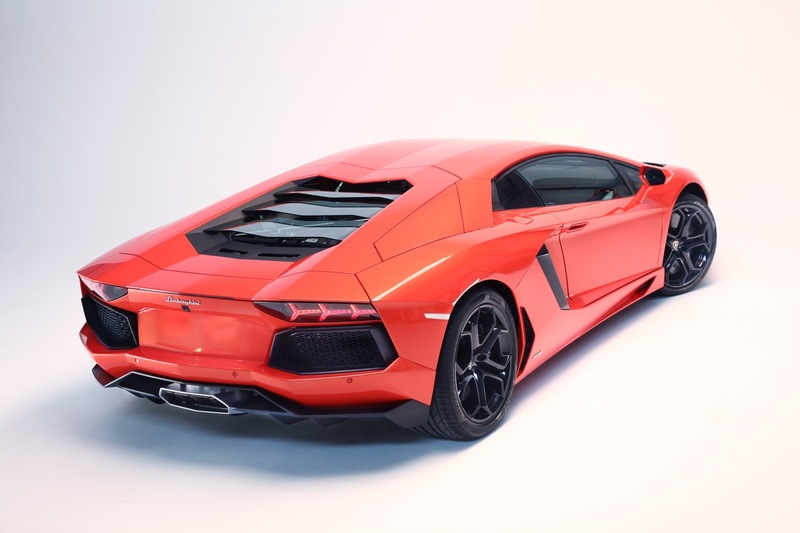 The new Lamborghini Aventador has a 6.5L V12 which is 40lbs lighter than the 6.5L V12 that was in the Murcielago. The new engine produces 691hp and 509 lb-ft with a redline of 8,250rpm. That’s the most power Lamborghini has ever put into one of their production vehicles and has a lb/hp ratio of 5.02:1. The Aventador reaches 60mph in a quick 2.8 seconds and tops out at a claimed 217mph. It also has a 20% increase in fuel economy compared to the Murcielago with an uninspiring 13.7mpg average fuel economy. Ceramic brakes are now standard and measure 15.74″ in diameter for the front wheels. That is some serious stopping power. 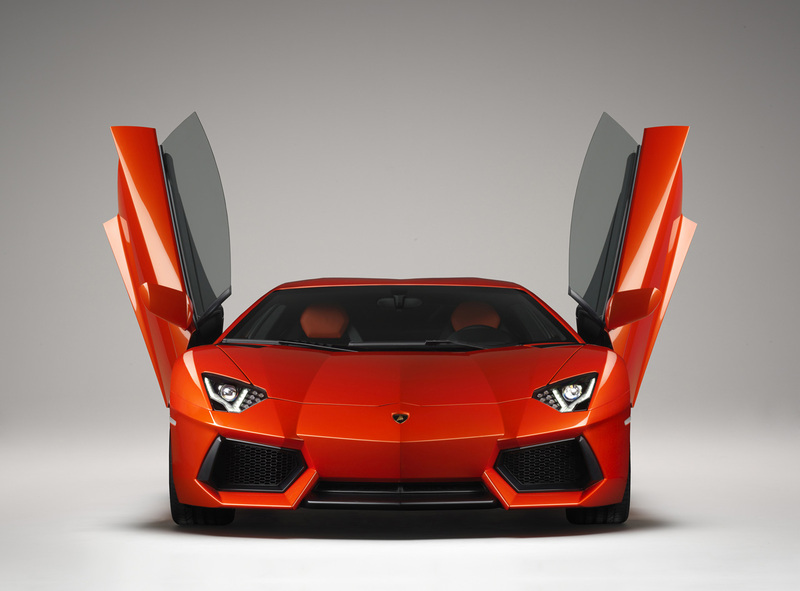 Like many of the newer supercars, the Aventador is not available in manual transmission. So, this car is…amazing, of course. The one downside is its expected $370,000 sticker. That being said if I had the dough I would find it hard to resist. This car is simply astounding. I think that with this car will really help Lamborghini improve its image. Lamborghini again has super-high-end car that people will choose over the regular high-end alternative (Gallardo). For years I would’ve preferred the Gallardo to the Murcielago despite it costing considerably less. Now with the Aventador the Gallardo becomes the less desirable car (as it should be). If you want to read all of the details on the Aventador click here. If you just feel like drooling on tons of awesome pictures give this a click. Is this auto or paddle shift? isn’t the Lamborghini Diablo VTTT still the most powerful?